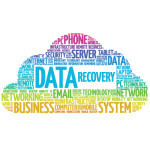 A key part of any data recovery plan is the RTO—Recovery Time Objective. RTO indicates how much downtime your company can endure before the recovery process is completed. While your initial reaction is probably, “immediately,” it’s important to consider whether you can stand to be down for an hour, a day, or a week if there is a server failure. Perhaps an even more important question is—can your current data backup system support your RTO? Most IT departments are prepared for the inevitable failure of equipment and have solutions in place to meet the RTO for individual systems. What’s less common, however, is preparation for catastrophic events—a fire or natural disaster, for example—that take out an entire network. Too many companies cling to the belief that, “that will never happen to us,” putting themselves at considerable risk. Consider that nearly half of companies surveyed by Iron Mountain indicated that they are storing their backup tapes onsite, which may be convenient today, but if the building becomes unusable or inaccessible due to a major catastrophe, what then? The good news is there are things you can do to reduce your RTO and reduce the potential downtime your company will need to recover crucial data in the event of server failure. Increasing the frequency of your backups can shorten your recovery time and reduce your RPO—Recovery Point Objective, or the amount of data you can stand to lose if your system fails. The same Iron Mountain survey revealed that 1 in 3 companies miss their backup window due to the volume of data they are backing up, and 22% of those companies note that they are backing up inactive data they should be archiving or destroying. Removing this data can speed up your backup time now, and your recovery time if your system goes down. Maintaining a second copy of live data on a different server—ideally at an offsite location—allows you to switch over almost instantly if one server fails. Learn more about our recommended best practices for data backup and disaster recovery and consider requesting a network assessment to evaluate your current practices and disaster readiness.